With an extensive and vibrant history, Bairstow Eves has fast become an icon of professionalism in the London and UK property market. With our distinct red and black branding, Bairstow Eves is instantly recognised and trusted as a local agent with an established heritage, but with the backing of a wider network within Countrywide. Cartwright Hands are a leading residential and commercial estate agent, chartered surveyors and property consultancy with offices in Nuneaton and Coventry covering Coventry, Warwickshire and the wider area. We can trace our roots back over 110 years, this experience means we know what makes our clients tick and can also sell all imaginable types of properties in every kind of market. A professional independent company with experienced staff offering a quality Sales, Lettings & Management service in Coventry and surrounding areas. Castles have been established since 1988. During this time we have gained a wealth of knowledge in all aspects of the property market. The property market is always subjected to change, but one thing that will always remain is, our clients come first. Complete Estate Agents have picked up first prize in the Rugby 2010 Business Awards for the best marketing campaign. We are extremely proud of this achievement and for an estate agent this is one of the best recommendations we could possibly get. We believe in working in partnership with all our clients to achieve the best possible results, whilst maintaining a sense of realism and expectation. Well established (1982) firm of highly qualified and experienced Chartered Surveyors and Estate Agents offering a complete range of property services. Our highly professional Sales Team has achieved great success over the years. Interletz is rewriting history – traditional letting agencies have many problems delivering a comprehensive and successful service to Landlords and Tenants due to the nature of the work. At Interletz, we have decided to move away from the old business model of a letting agency and bring the industry into the 21st Century. We are sure that your letting experience will be enhanced compared to any previous experience that you have had. Sign up with us today ad experience the future of lettings. Dixons Estate Agents are the largest estate agency in the Midlands. We combine experienced staff with innovative marketing to provide the very best property services to buyers and sellers. 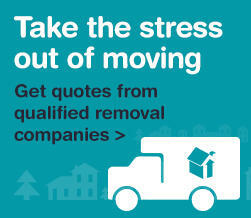 Please contact any of our branches for advice on moving and we will do all we can to assist. Dixons are proud to "Do more?" Loveitts residential lettings and management team can help you safeguard your property investment and ensure that with our professional expertise and experience in the industry, best advice is given. The lettings sector has massively grown in recent years with many seeing property as a popular alternative income and many looking for good returns on their investment – use our expertise to achieve this.